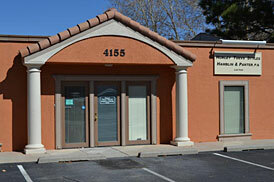 The Hurley Firm is located on the north side of Montgomery, just east of Carlisle in the Granada Square Office Park. Enter Granada Square at the stoplight. We are in the building closest to Montgomery Blvd, west of the stoplight entrance. Please contact us about your legal needs. Submission of this form does not establish an attorney/client relationship, but it will allow our legal team to assess your case.